When you look at your tooth in the mirror, what you see is the crown. The rest of the tooth, the portion hidden beneath the gum, is the root. Inside the tooth is the root canal, which contains the pulp, a soft tissue consisting of blood vessels and nerves. If the pulp becomes inflamed or infected, it is possible to treat and save the tooth by root canal treatment. Endodontic or root canal treatment involves removal of the infected or diseased tissue, cleaning and then filling the canals to prevent reinfection. 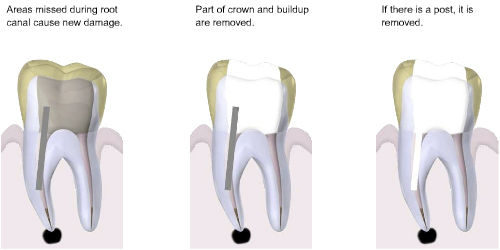 After successful treatment, your general dentist will restore the tooth to normal function with a filling or crown. 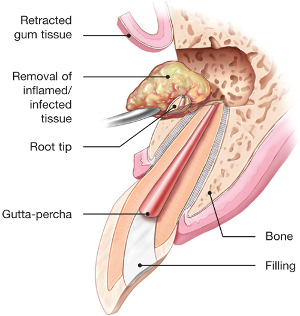 Sometimes it is necessary to re-do root canal treatment, usually because of infection following earlier treatment. 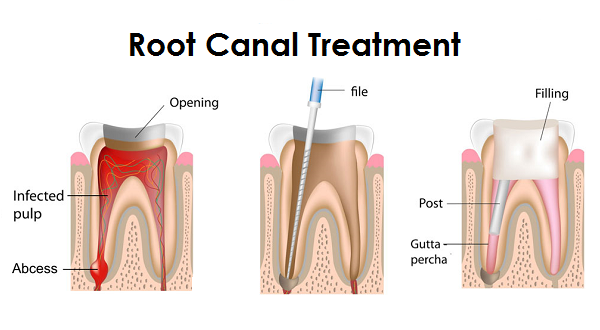 The process involves removal of the previous root filling, re-cleaning the canals with the aim of eliminating infection and then root filling to re-seal the root canal system. Endodontic retreatment is usually a more complicated procedure and may require advanced techniques in order to optimise the treatment outcome. We have considerable experience in retreatment procedures, and can usually restore your tooth and surrounding tissues to health. Endodontic microsurgery is a procedure involving the removal of infected or diseased tissue, usually at the root apex, using advanced microsurgical techniques. This form of treatment is sometimes necessary following previously unsuccessful endodontic treatment, especially in cases where conventional retreatment is complicated by other factors.